How many CBB/BB housemates can you spot in this one clip? Damn I wanted to see Kayleigh vs. Jemma. Jemma probably CLOCKED her. Jordan, Bear, Jemma, and Kayleigh. was the one on the balcony Chloe? The Chloe that was in the year Bear won? Whoa! I didn't spot her at all. I wonder what determines which ex on the beach star ends up on CBB which one ends up on the civilian one. Jordan was in weekender too though. They were both on series 3 and All Stars. Was she a rep or guest though? She was AMAZING on that series but Scummy Bear sent her home out of spite because she wouldn't sleep with him. Out of that lot i wish they'd got Jess on. They should do but her time has gone as a 'celebrity' really. Yeah Jordan and Ellie's populairty/fame is not comparable. I saw Ellie being bitter about Jordan being in CBB when she is 'the same'. She was in 1 season and a half, compared to Jordans SIX seasons. Thats 6 years in the public eye as the leading role whereas Ellie was like a small rep in a season. Jordan also was in two full seasons of EOTB, he also had like 6x more social media followers on twitter/instagram. Ellie was just bitter, she wouldn't pass for the celebrity version, whereas Jordan did. I don't even like the guy. 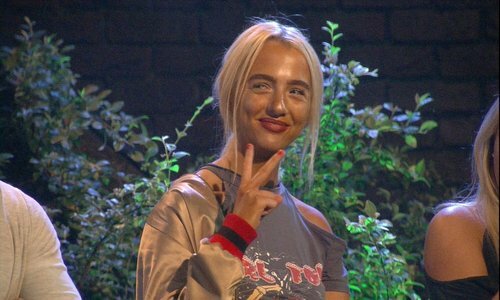 Kayleigh probably could pass for CBB though tbf, Ellie definitely couldn't, she may have been fame level equivalent of Marissa but the producers knew they could get anyone from weekender, whereas getting a US star is harder.